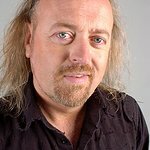 Much-loved comedian Bill Bailey is standing up to front Prostate Cancer UK's new campaign to ‘crack’ prostate cancer once and for all — as new statistics illustrate the continued neglect around the disease. The new figures show that, despite being the most common cancer in men and the fourth most common cancer overall, prostate cancer lies twentieth in the ‘league table’ of annual cancer research spend per case diagnosed. The figures, published today by Prostate Cancer UK, also show that breast cancer — the most common female cancer which has a similar death rate as prostate cancer — received more than double the annual research spend (£853 per case diagnosed compared to £417 respectively). Although more used to making the nation laugh, it is statistics such as these that have inspired Bill Bailey to help expose the not very humorous facts behind this disease by becoming the front-man of The Sledgehammer Fund. Prostate cancer kills one man every hour and the number of men with the disease is rising at an alarming rate. Already the most common cancer in men, it is predicted to become the most common cancer of all in the UK by 2030. Bill, 47, will appear in a series of television, digital and print ads — scheduled to begin on January 1 — as Prostate Cancer UK launches its first large-scale communications offensive. The organisation is determined to change the fortunes of men’s health once and for all, and is waking up the nation to the impact of prostate cancer, which affects over 250,000 men across the UK. Bill, whose father in law has survived prostate cancer, is determined to help Prostate Cancer UK expose the scale of the disease, and the fact it has suffered a legacy of under-funding and ignorance. “I only campaign for the things I believe in,” he said, "and I feel very strongly about this. I read a news article about the number of men affected by prostate cancer and I was shocked by the figures. I had no idea it was so common — but, if caught early enough, can be successfully treated. “Blokes are not always good at taking care of themselves and, even if they know they have a health problem, they often don’t want to talk about it — or they just hope it will go away. “I want The Sledgehammer Fund to help change that. I hope the advert that I’ve made for Prostate Cancer UK will get men talking about prostate cancer and their prostates. The charity wants to raise more money for research because there’s a need for better treatments and better ways of diagnosing prostate cancer — so the deadlier tumours are caught, before it’s too late. The Sledgehammer Fund aims to generate cash to support Prostate Cancer UK’s ambitious work to increase research spend into the disease, as well as improve the support men receive through the delivery of world class services. Bill added: "I hope this campaign will help bring prostate cancer into the open and help Prostate Cancer UK give men a better chance of beating this disease. If someone sees this commercial and wants to find out more about prostate cancer or make a donation – then for me it’s been a success. The Sledgehammer Fund, which will run between January and the end of March, will also feature a series of hard-hitting print ads, which have been designed to ‘rattle the cage’, and set the issue out in stark terms. 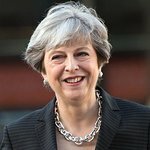 Owen Sharp, Chief Executive of Prostate Cancer UK, said: “Men in the UK have a problem and they don’t want to talk about it. Neither do the wives and partners who will end up supporting them, the doctors who will treat them, nor the politicians who will count on their vote. Prostate cancer is the UK’s best kept worst secret. ”Prostate cancer is simply not on the radar in the UK. Even though it kills one man every hour, that’s 10,000 men each year, most men and women don’t know enough about it. We need to follow the lead of the successful female movement against breast cancer and create a real change for men. to 70004, visiting prostatecanceruk.org or calling 0800 082 1199.